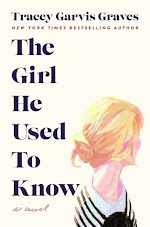 Goodreads says, "Set amidst the breathtaking beauty of Oxford, this sparkling debut novel tells the unforgettable story about a determined young woman eager to make her mark in the world and the handsome man who introduces her to an incredible love that will irrevocably alter her future—perfect for fans of JoJo Moyes and Nicholas Sparks. American Ella Durran has had the same plan for her life since she was thirteen: Study at Oxford. At 24, she’s finally made it to England on a Rhodes Scholarship when she’s offered an unbelievable position in a rising political star’s presidential campaign. With the promise that she’ll work remotely and return to DC at the end of her Oxford year, she’s free to enjoy her Once in a Lifetime Experience. That is until a smart-mouthed local who is too quick with his tongue and his car ruins her shirt and her first day. When Ella discovers that her English literature course will be taught by none other than that same local, Jamie Davenport, she thinks for the first time that Oxford might not be all she’s envisioned. But a late-night drink reveals a connection she wasn’t anticipating finding and what begins as a casual fling soon develops into something much more when Ella learns Jamie has a life-changing secret. Immediately, Ella is faced with a seemingly impossible decision: turn her back on the man she’s falling in love with to follow her political dreams or be there for him during a trial neither are truly prepared for. As the end of her year in Oxford rapidly approaches, Ella must decide if the dreams she’s always wanted are the same ones she’s now yearning for. " Ella Duran has always dreamed of studying at Oxford and her dream is finally coming true. She is there on a Rhodes scholarship studying literature, which is the complete opposite of her political job back in America. Then she meets Jamie Davenport. At first, her impression of him is not good. Not good at all. At a restaurant, he spills his dinner on her. Then to make matters even more awkward, she seems him again at Oxford. He is her professor! Cue the awkwardness. As time goes on, she actually becomes friends with Jamie, along with her other quirky classmates. Her friendship with Jamie blossoms into something more, but Ella knows that he has a reputation for being a flirt and he is never in serious relationships. But this time he is. What will happen when she has to leave Oxford in a year? And what is that big secret Jamie is hiding? 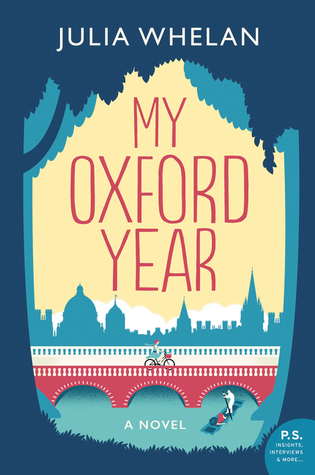 Julia Whelan's My Oxford Year is a charming audio book about love, loss, following your dreams, and what's really important in life. Ella is a character I really liked from the beginning in My Oxford Year. 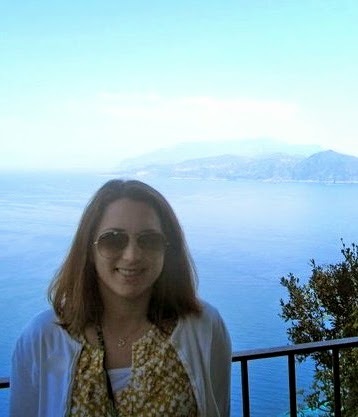 She is brilliant (hello, Rhodes scholarship) and interested in many things like politics, education, literature, poetry, etc. I found her to be an entertaining protagonist and someone I'd want to be friends with. Jamie is also a swoon worthy character. He's smart, well-read, adventurous, good looking, but he is harboring a major secret. They are both complex characters though and well-fleshed out. So, I thought My Oxford Year was going to mainly be a romance and yes, I loved watching their relationship unfold, but things do get a bit dark about halfway through the novel. Be forewarned! It took a very Me Before You turn of events, which I am fine with, but didn't expect. I thought it was handled very well though even if it was a bit sadder than I anticipated. One of my favorite aspects of My Oxford Yearis the setting of Oxford. I truly enjoyed it and I felt Whelan brought it to life beautifully. I also really appreciated all the literary references made by the characters; after all, this is a group of academics! In fact, before each chapter started Whelan included a classic quote or excerpt from poetry. I'm glad I listened to My Oxford Year, because Julia Whelan is an amazing narrator. I found her narration of to be one of my favorites so far. She truly added to the story and enhanced it; it was never distracting. I can see why she is an actress and award-winning narrator! So, if you are looking for a charming audio book that will tug your heartstrings, give My Oxford Year a try. I already heard that its being optioned for film and I think it will translate to the big screen very well. Have you read My Oxford Year? Let me know your thoughts! Glad you enjoyed this! I have it on my TBR and am looking forward to it. Ooh, I didn't know about this dark turn! Now I want to know where the story goes!